* Apply very thin! 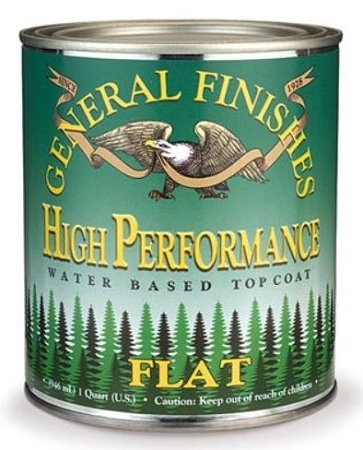 * General Finishes High Performance Polyurethane water based finishes are designed to be the best. They are formulated to resist foaming, prevent sagging and resist running like ordinary water based finishes. Tack free dry time is only 15 minutes with 2-4 hours between coats, which means you can finish a project in short order. HP (High Performance) also contains UV stabilizers which makes it suitable for the most demanding applications, including countertops and floors. For interior use only. Watch THIS VIDEO on how to apply this product! We are sorry â€“ there are NO RETURNs when it comes to paint and refinishing products. Think about it- would you ever want a quart of paint sent to you - that was shipped to someone else prior? We eliminate any potential issues with this policy.